Hi, I wrote some posts ago about a relatively new Flash controller by Debao, A firm I first heard about when I found out about this trigger , I can’t testify about its product reputation and can’t find to much feedback about those guys inline either. This flash controller costs a bit less than 100$ , it offers great control as for its rear screen. If you are using the Canon IR system to control you flashes (or the Nikon CLS ), this controller might upgrade your photography and strobist flash control. 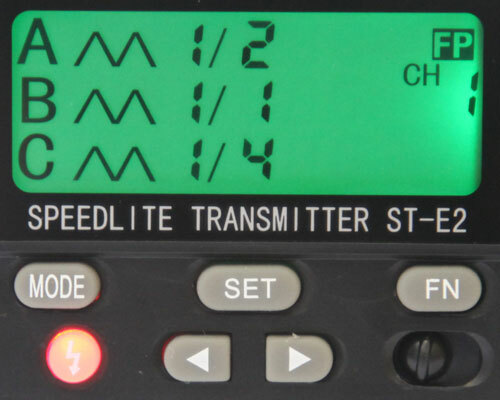 The good news are that you finally can get a flash controller that comes with a screen to display your flash settings and get you a much better idea about what you are doing. A lack of a screen is the first feature I’d like to add to the budget flash controllers. 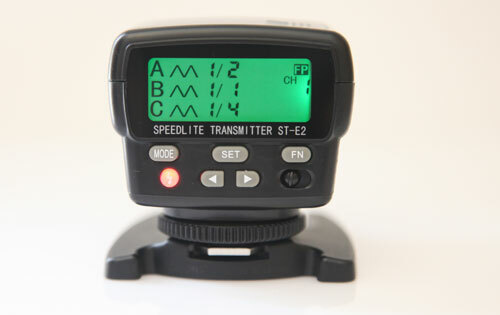 Even thought the YN622 supports most flash features controlled from the camera menu, but if you want to be picky – 1.not all cameras can control the flashes from their menus .2. You have to go into the menu to control and change your flash settings (controlling from the camera menu is a major upgrade from the RF-60x, but you want to get even better control). The screen in the Debao is very big and has all the data you’d need. Navigation between the modes is very easy and can probably master this unit in no time. 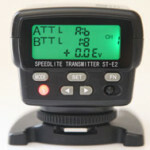 Better range – I haven’t tested the range compared to the YN ST-e2 flash controller, and I haven’t used the Canon unit for a long time (sold it about two years ago) but I can say that the Debao has a much better range than the Canon, I remember how frustrating it was to see the distance the Canon stopped at. Use – very easy to use. Nothing to be wrng about. You get all the modes you need and there buttons are very easy to control. Flash support – I’m a Canon dud so I can say that this controller supports older units that the YN622 doesn’t do. I finally had something to do with my very old Canon 550EX!!! While its almost useless with the YN622, it comes to life with the Debao st-e2. 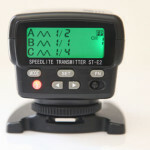 AF assist – It has a very nice AF assist beem, you might find it useful if you are in a low light situation. Swivel head – The controller unit can be adjusted right or left . The thing with those controllers is that they need to “look” one to another, so the swivel function is very welcomed (Canon can’t offer this at all…). Price – Debao sells it for about 100$,What can be said about it… the Canon unit costs about 225$, Nikons unit costs about 250$ and the YN unit costs about 110$.Keeping in mind that for Canon users its the only controller that offers a back screen and doesn’t forces you to feel like you are in the 90’s, its a great bargain! Building quality – I can’t say its bad, but you can feel its made cheap. Better plastics won’t be to hard to get. A:B mode – adjusting the power ratio of two flash groups A and B. Pressing the set Button will allow you to change the ratio.Works very good. Manual Mode -This is what we strobists ask for. You can adjust each flash group power level (A B and C).Set button will switch between the Flash groups and the Channel (1-4). Stroboscopic flash mode – This mode will fire a burst for flashes in a period of time you’l decide. Settings here are – Power of flash (1/128th-1/4th) , Frequency – (measures in Hz) how many times the flash will fire in a second, Number of flashes – setting how many flashes you would like it to fire. 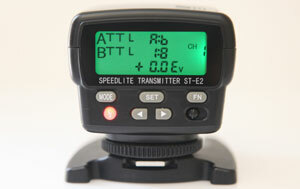 TTL – setting the flash setups to work in TTL mode. 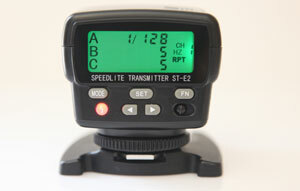 You can also adjusat flash compensation in 1/3+- stops. This is it, very simple to use, if you ever operated a flash you might find it very easy to operate this controller. softbox. I run some quick tests and put a YN568EX into an octagonal 80cm softbox and tried it. as you can see in the images below, the softbox was in by back room and I took the image outside of my huose (Canon 50D and 50mm) , the flash poped and worked this distance ~18m!!! This will make this controller good for most of home studios! 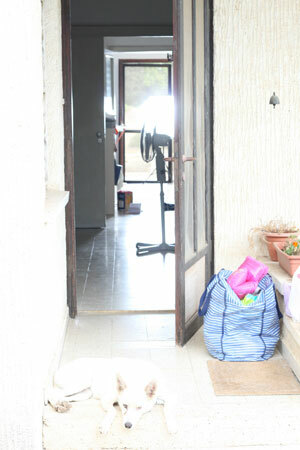 PS – I put my Canon 580EXII in master mode and tried this same test, the best range was about 5m-6m no more!!! That makes the Debao range very impressing! If you read our site for some time , you probably know I like those “underdog” gadgets. Spending a 100$ for a packed flash controller might be your best investment for your home studio. 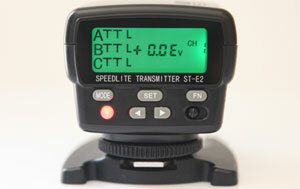 You might also consider your full from the camera control flash options. You can get a YN560EX unit for less than 100$ and pair it with the Debao for full flash control (No HSS). Photographing portraits in your home studio- This controller will give you all the control you’ll ever need and for a low budget. Product photographer – The same as the above, in a small ,well controlled area , this will give you tons of control. Shot a lot of outdoor and need the range – there are some better options if you are a range guy. YN622 or other will deliver as well. Don’t have flash units that supports Canon IR or Nikon’ CLS – if your only flashes are YN560 and so on, you’d have to upgrade your flash arsenal to fit this controller. I’ll post some more insights about the Debao ST-e2 in the upcoming weeks. Would you buy the controller too? Do you use the YN or Canons/Nikons ST? Share the post if you liked it! http://www.eachshot.com/media/11/uploads/product/debao/su-800/debao_su_800.doc is the link to the English Word document. Thanks for the review; so far I’m happy using mine with a Canon 5D II; although, mine arrived with the metal battery back plate rattling loose in the battery compartment. Easy fix, slid right back into place behind a couple of flimsy plastic tabs, but it could easily slide out and be lost while changing batteries. Also, makes me worry about what else might “shake loose” in the future. 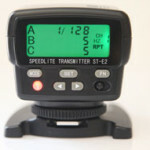 I really like this one, it works like a charm and makes great value for less than 100$ if you have the right flashes. BEWARE they offer Zero None not even a response for any technical service at all, my unit quit after only 30 shots and after repeated attempts No Response from technical service. SAVE YOUR MONEY! Can you tell me pls how many shots can you make with a two alcaline battery? Thx! Never tried it with alcaline battrey… Sorry, always with Sony Eneloop. Thank’s for your reply. I saw that the Nikon su800 it has about 1200 shots or so. This chinese thing onl 100-300 shots? 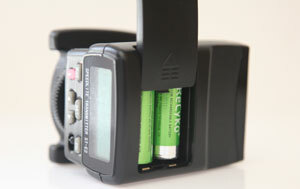 I think it’s nnot worth it the money… If this thing cannot take 1000 shots with an rechargeble batteries I won’t buy it. I don’t have the SU800 to compare with, 1200 shots seems a lot for any trigger (I doubt this number). I used the Debao for home studio, I never pass the 300 photos mark at any home session (ever), so for this porpuse its a great deal. This is the link for the manual in English. I like the this unit. It works like a charm. Hello, can you tell me if there’s a function to save batteries when you don’t use it for a while? So does it shut down automatically like the Canon ST-E2 ? 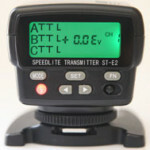 I need a such transmitter but **without** this function. Thanks you !